Purity Is the Force! - What Happened to the Hare Krishnas? : What Happened to the Hare Krishnas? You are here: Home » Solutions » Purity Is the Force! 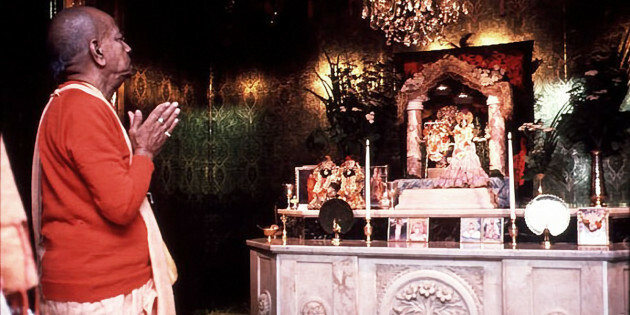 Srila Prabhupada was convinced the problems within ISKCON could not be solved until every devotee was chanting sixteen rounds of the Hare Krishna mantra daily, rising early to attend the 4:30am Mangal Arati ceremony, following strictly the four regulative principles and being fully engaged 24 hours a day in serving Krishna. He was so convinced of this that he made it the prime duty of all GBC members to see in their respective zones all devotees in all temples came to this standard. Srila Prabhupada sometimes used an analogy common in Bengal; it is said that it is better to maintain an empty barn than to keep many cows who are not giving milk. He said, therefore, that it is far better to have a few serious devotees than to have many neophyte devotees. 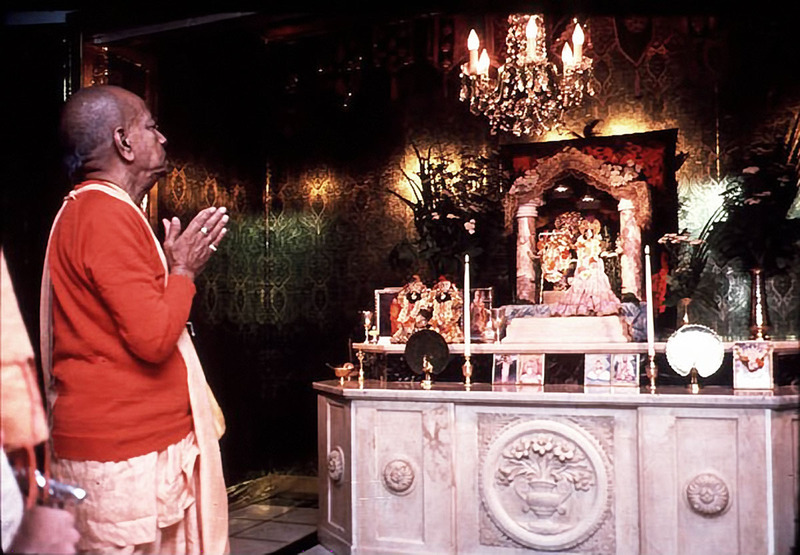 The GBC members, for one reason or another, didn’t make a serious attempt to encourage devotees to come to the standard Srila Prabhupada required and, as a result, the problems within ISKCON were never solved. They just became worse. Currently ISKCON is not presenting Krishna consciousness in a pure way, and it is certainly not representing Srila Prabhupada’s dynamic preaching mood and great compassion for the fallen conditioned souls. The movement has been contaminated with the poison of Mayavadi philosophy introduced in 1970 to such an extent that most ISKCON devotees today have either never tasted the transcendental ecstasy of serving Krishna or they have forgotten what it is like. ISKCON has become an organization of the cheaters and the cheated who are trying to exploit each other for sense gratification, both gross and subtle. Still, a few sincere young people join the movement after reading Srila Prabhupada’s books, but they are soon contaminated by the poisonous atmosphere and generally either leave or become materialists within ISKCON hankering after position, fame, power, profit, etc. ISKCON is misrepresenting Srila Prabhupada and Krishna and it is doing great damage. ISKCON has become a mundane organization exploiting the public and the devotees by collecting funds and utilizing them for eating and sleeping under the plea of serving Srila Prabhupada and Krishna. This is a great pity as everybody is suffering and rotting in this world simply due to a lack of Krishna consciousness. Because ISKCON is currently unable to deliver Krishna consciousness there is little hope for the suffering world at the moment. "I do not wish to discuss about the activities of my godbrothers, but it is a fact that they have no life for preaching work. All are satisfied with a place for residence in the name of a temple, they engage disciples to get foodstuffs by transcendental devices and eat and sleep. "They have no idea or brain how to broadcast the cult of Sri Caitanya Mahaprabhu. My Guru Maharaja used to lament many times for this reason and he thought that if one man at least had understood the principle of preaching then his mission would achieve success. In the later days of my Guru Maharaja he was very disturbed. Actually, he left this world earlier, otherwise he would have continued to live for many years. "Still he requested his disciples to form a strong governing body for preaching the cult of Sri Caitanya Mahaprabhu. He never recommended anyone to be acarya of the Gaudiya Math. But Sridhara Maharaja is responsible for disobeying this order of Guru Maharaja, and he and two others who are already dead unnecessarily thought there must be one acarya. If Guru Maharaja could have seen someone who was qualified at that time to be acarya he would have mentioned. Because on the night before he passed away he talked of so many things, but never mentioned an acarya. "His idea was that acarya was not to be nominated amongst the governing body. He said openly that you make a GBC and conduct the mission. So his idea was that amongst the members of the GBC who would be successful a self-effulgent acarya would be automatically selected. "So Sridhara Maharaja and his two associate gentlemen unauthorizedly selected one acarya and later on it proved to be a failure. The result is that now everyone is claiming to be acarya even though they may be kanistha adihikary with no ability to preach. In some of the camps the acarya is being changed three times a year. Therefore we may not commit the same mistake in our ISKCON camp. Srila Prabhupada said we need devotees like Prahlada Maharaja to defeat the demonic, Mayavadi mentality in ISKCON. Therefore it is our responsibility to Srila Prabhupada to take Krishna consciousness very seriously, avoid poisonous association, chant the Hare Krishna maha mantra and read Srila Prabhupada’s books incessantly and simultaneously distribute Srila Prabhupada’s books and preach Krishna consciousness loudly all over the world. If we do this to the best of our ability we will please Srila Prabhupada and get his mercy. All glories to His Divine Grace A.C. Bhaktivedanta Swami Prabhupada who has come to the Western countries to defeat the philosophies of impersonalism and voidism and in their place establish pure devotional service to Krishna, the Supreme Personality of Godhead. 4 Comments on "Purity Is the Force!" Prabhu it is very nice to hear from you and do not be discouraged. Krishna is the Supreme Personality of Godhead and Srila Prabhupada is His pure devotee. So Prabhu you still have complete access to Srila Prabhupada’s vani, his teachings, his instructions. And that is the important thing about the relationship between the spiritual master and the disciple. The disciple has to hear from the bona fide spiritual master and surrender to the bona fide spiritual master and offer obeisances to him and serve him. So you have no problem Prabhu hearing from Srila Prabhupada, all you have to do is pick up one of his books and read it, then you are hearing from Srila Prabhupada. You can have a picture of Srila Prabhupada and the picture of the pure devotee of Krishna, like the picture of Krishna, is non-different from him. So you can offer obeisances to the picture of Srila Prabhupada. You can hear the instructions Prabhupada is giving you as you read his books and you can surrender to Srila Prabhupada by following these instructions in your practical life. This is the real initiation. Actual surrender to the vani, the instructions, of the pure devotee of Krishna. So the important thing for you Prabhu is to develop your relationship with Srila Prabhupada and to ignore the nonsense that the ISKCON devotees will tell you. Of course ISKCON devotees do not speak all nonsense. They do preach a lot of valid bona fide philosophy from Srila Prabhupada’s books. But they will mix in nonsense, poison, with the nectar. The example Srila Prabhupada gives is if someone puts a handful of sand in the sweet rice then it becomes very distasteful. So ISKCON is like that. Sweetrice with a handful of sand in it. So it is sweet, but it is contaminated. With the bona fide philosophy they will preach to you from Prabhupada’s books they will add in so many concoctions and incorrect things. For example they will tell you not to worship the Deity the way Prabhupada teaches us to worship the Deity. Prabhupada teaches us to offer everything to the spiritual master and the offering will go to Krishna via the disciplic succession. ISKCON disagree. They will teach you to offer directly to Krishna and offer Prabhupada Krishna prasadam. Which is so unspeakably offensive and if you do this it will be such a disaster for your spiritual life. Because Krishna does not accept offerings like this, directly from our hands. How incredibly offensive it is. Prabhupada is there and ISKCON are teaching us to ignore him and offer everything directly to Krishna and then once Krishna has accepted the offering then offer Prabhupada Krishna prasadam. It is so offensive. For the disciple the spiritual master is the manifest representative of Krishna. And an actual devotee knows that his spiritual master is the transparent via-medium to Krishna. Anything we offer to Srila Prabhupada he will offer to Srila Bhaktsiddhanta, and he will offer to his spiritual master and in this way the offering will go to Krishna via the disciplic succession. That is the only way Krishna accepts offerings, via the disciplic succession. Krishna does not accept offerings directly from us, ignoring the disciplic succession. It is so offensive. So this is just one example of the sand that ISKCON will throw into the sweet rice. And in hundreds and hundreds of other ways they will preach to you something out of Prabhupada’s books and then twist it and distort it to suit their own ends. So if you hear from the ISKCON preachers it will be a great disaster actually for your spiritual life. Because they will say “Prabhupada said” every second word and make it appear that they are presenting Prabhupada’s message, and a lot of what they do present is Prabhupada’s message, but they will throw handfuls of sand into the sweetrice making it very distasteful and very offensive and if you hear from them it will destroy your spiritual life. So Prabhu please take shelter of Srila Prabhupada directly. Please make a very serious program to read all of Srila Prabhupada’s books. If you become very firmly fixed in the pure philosophy that Srila Prabhupada is presenting to us in his books then that will make you strong and protect you from everything. All glories to Srila Prabhupda ! Thank you Guru Ji…jai prabhupada.